Foot Patrol have once again dropped some serious deadstock Air Max heat! Back from the dead … the Skull Packs. In a silent slumber since their original release back in 2006, these are some true gems. 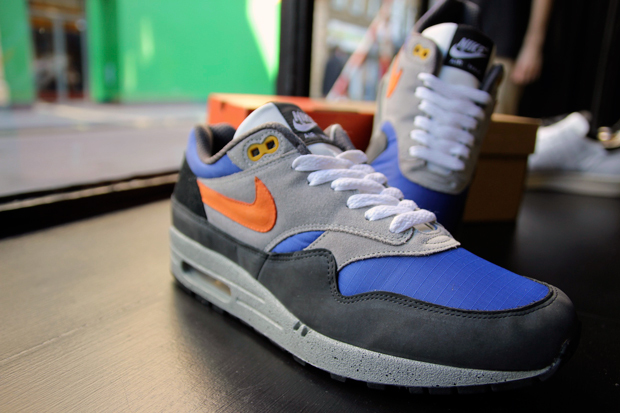 Here at The Daily Street we consider around 2006 to be one of the golden eras for the Air Max 1, some of the best designs dropped in that time with some incredible materials, and the shape was a thing of beauty. 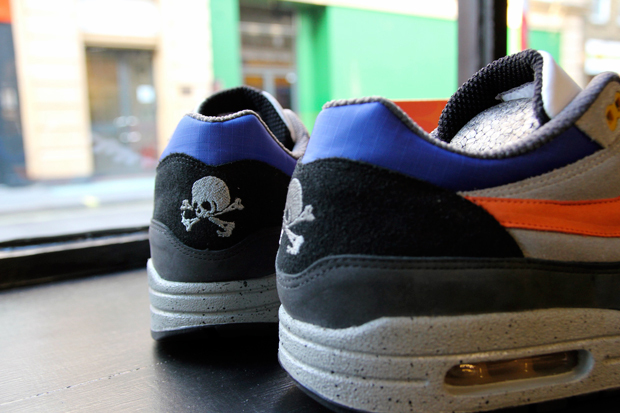 The Skull Pack has remained a potentially overlooked release since its arrival, but still sits as a key piece in many AM1 addicts collections (including my own). 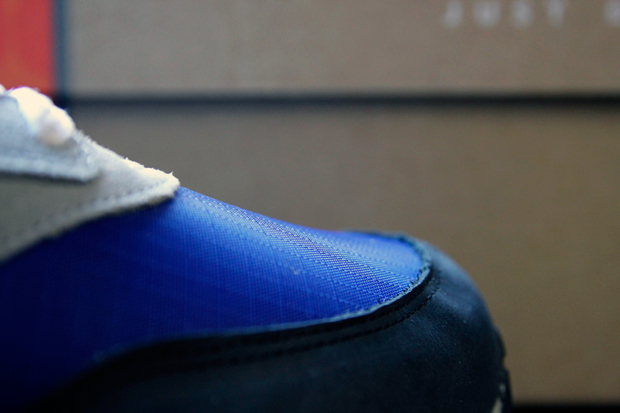 Made from ripstop mesh and seriously premium suedes (not like the suede we see today), I would be scared to wear these nowadays. They are so soft and stroke-able! The White laces and White leather tongue pop like nothing else, especially when set against the Tango suede swoosh and Grey speckle sole. 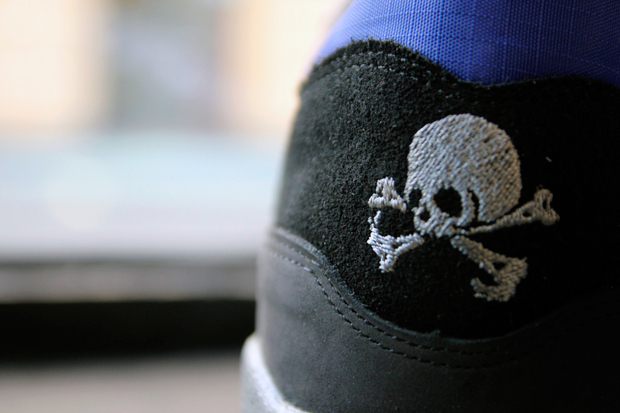 An embroided skull & crossbones on the heel have helped these shoes become so recognisable. Peep the OG two-tone box, such a nice site to see again. We don’t know if the Green/Grey colourway that completes the AM1 Skull Pack has been deadstocked as well, so we can only cross our fingers and hope. 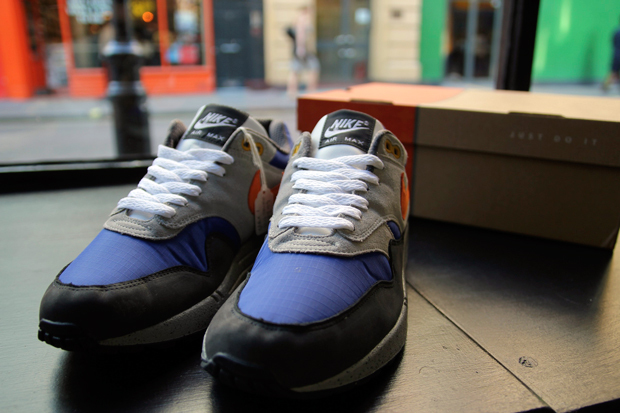 Foot Patrol have got a very small amount of these kicks that they stashed away all those years ago to bring back now for your purchasing pleasure. If you are keen for a pair I suggest you act quicker than quick as these are flying off the shelf at a more than reasonable £100. In the words of Nike … “Just do it”. I have to agree, these, in particular, are beautiful pair of kicks. I am curious what size these ones are, as I am always looking for a DS pair.